Have had this one for a long time. Amazing the pop this has when catching a ball! 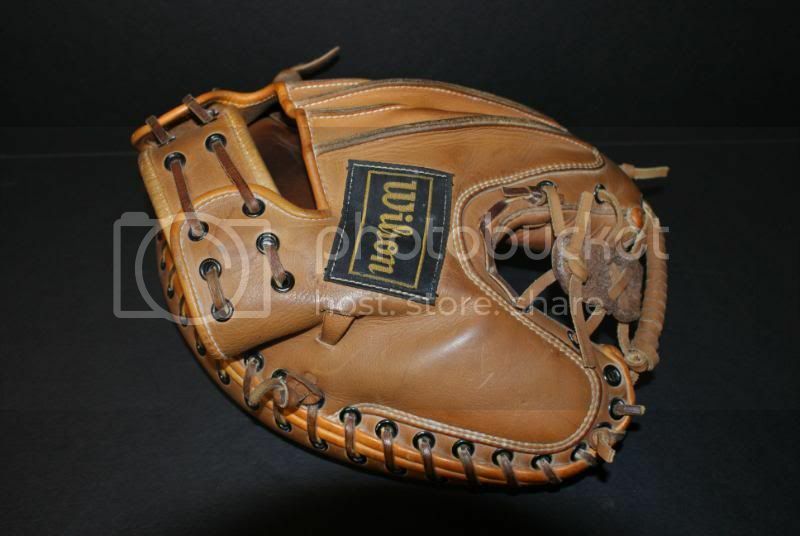 Would you agree that the "Snap Action" labeling on that mitt is a bit optimisitc? I don't see that mitt "snapping" in any way. Looks like a "two hander" to me. 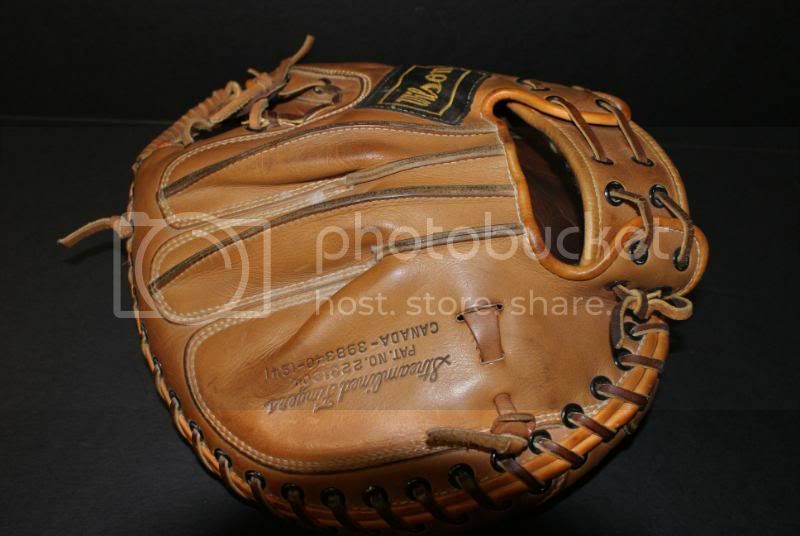 i have an old catchers mitt that has the eyelits as well and i cant find lace thin enough to go through it...any suggestions? Awesome looking glove, Wake. From the 50's??? 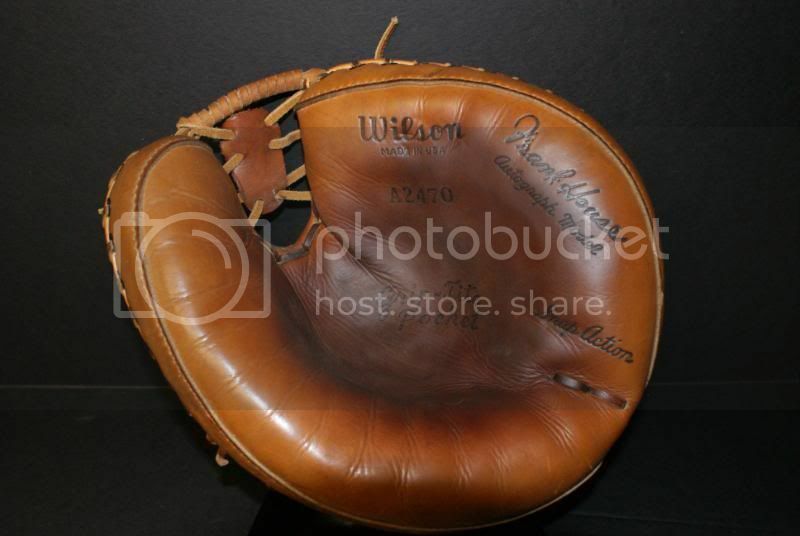 Reminds me a great deal of the Gus Triandos Wilson catcher's mitt I have from the mid 60's.